Wondering why there's no signal on your phone lately? Why is there no Internet too? 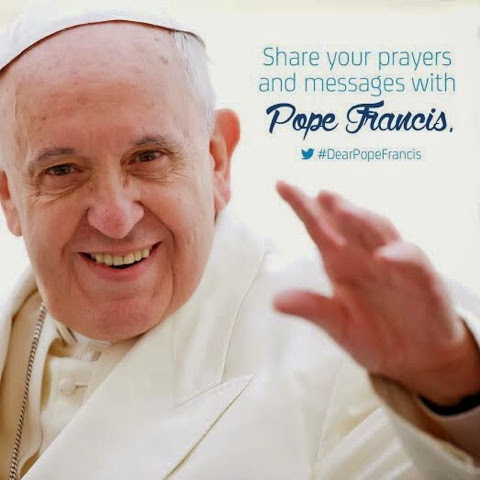 Are you near in some places where Pope Francis is celebrating mass in Manila? Well if you put two and two together, you probably know why. We got this notice from our friends from Smart and Sun Cellular. In compliance with government orders, Smart and Sun Cellular have temporarily suspended mobile phone services in parts of Metro Manila that His Holiness Pope Francis will hold his activities today. This includes the University of Santo Tomas (UST), the Quirino Grandstand in Luneta Park and other areas of Metro Manila. This is part of comprehensive efforts to ensure the safety of the Pope and the public." So you should understand, this is for the security of his holiness. Bear with it for a few days. Let us pray that he's going to be safe while he's here and when he goes back to the Vatican.